As UTRGV’s Terry Winn stepped to the line for a pair of free throws on Wednesday with his team down by three and less than two minutes to play, he started to hear the typical heckling from the crowd at New Orleans’ Lakefront Arena. Winn had experienced postseason basketball from the bench before, watching during a redshirt year in 2015 as UTEP played in the NIT. 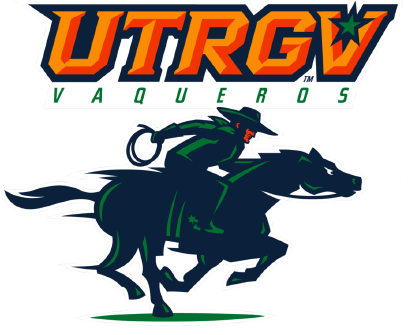 The wait for UTRGV was much longer, as Wednesday’s game in the opening round of the CBI marked the program’s first postseason action since a 1981 NIT berth. Already regarded as one of UTRGV’s most intense players, Winn said he raised his level even further for the bigger stage, bringing an index finger to his lips to hush the crowd after each of two made free throws. UTRGV coach Lew Hill said his team brought the type of fight he was looking for in the higher-stakes environment, but New Orleans ultimately pulled out the 77-74 win. The loss ends UTRGV’s season at 15-18 but gives the redshirt junior Winn and his returning teammates a taste of what they hope to accomplish in years to come. New Orleans led throughout the second half, but UTRGV was within one possession from the five-minute mark until the final 10 seconds of the game. Prior to Greg Bowie’s 3-pointer in the closing seconds that trimmed New Orleans’ lead from five points to two, Winn had scored UTRGV’s last six points. But UNO answered each tally with free throws or a layup to protect its lead. With UTRGV down three points and 23 seconds remaining, Lew Stallworth drove and missed a layup. New Orleans’ Lamont Berzat secured the rebound and hit a pair of free throws to finally give UNO some breathing room with a five-point cushion. New Orleans was without Travin Thibodeaux — the team’s leader with 16.3 points, 5.8 rebounds and 2.9 assists per game — due to a suspension. Bryson Robinson, who ranks second on the team with 9.6 points and 2.8 assists per game, was also out due to injury. In their absence, the freshman Berzat stepped forward with season highs of 21 points and 10 assists. He entered the night averaging just 3.8 points and 1.5 assists per game. He had hit only 17 of 49 attempts (34.7 percent) from 3-point range this season before making 4 of 8 on Wednesday. “They had some guys step up and make some 3s that normally don’t make 3s,” Hill said. Offensively, UTRGV was plagued by 11 first-half turnovers and 37.1 percent second-half shooting, even as Hill, Dixon and Winn felt the offense had plenty of makeable shots. Winn finished the night as UTRGV’s leader with 14 points and seven rebounds. Nick Dixon, UTRGV’s top scorer throughout the year, picked up 11 points, six rebounds and five assists. As a result, Dixon completes his career tied for 10th in program history with 1,282 career points, and his 670 points this year mark the seventh-highest single-season total in program history. He also went 3 for 3 at the line on Wednesday to finish the year with a program single-season record 222 free throws, eclipsing the mark of 220 set by Luke Jackson in 1963-64. Dixon reflected on the end of his two-year run with UTRGV. Wednesday also marked the final game for seniors Mike Hoffman, Dan Kimasa, Moe McDonald and Adonis Rwabigwi. Hoffman scored 13 points on 4-of-5 shooting — all 3-pointers — and pulled in five rebounds, while Kimasa netted eight points on 4-of-5 shooting with three rebounds. Winn was one of four underclassmen in a starting lineup that also included a pair of freshmen in Javon Levi and Bowie and a redshirt junior in Johnny Crnogorac. UTRGV played seven underclassmen on Wednesday, and that group will look to continue to take steps forward next year after posting the program’s highest win total since 2012-13.